As one of the most visited cities in the world, everyone has a preconceived notion of Paris. A mention of France’s capital usually conjures up images of wine, croissants, sparkling lights on the Eiffel tower, and couples kissing everywhere you look. With cheap airline tickets to France and frequent flights from New York to Paris, it’s easier than ever to visit the City of Love. While Paris is a melting pot of culture, food, and architecture, it’s hiding a troubled past just beneath the surface. Look through the City of Love’s opulent veneer and you’ll discover its network of underground graves known as the Catacombs. The former mine was used to store corpses after Paris ran out of space for the deceased in the early 19th century. 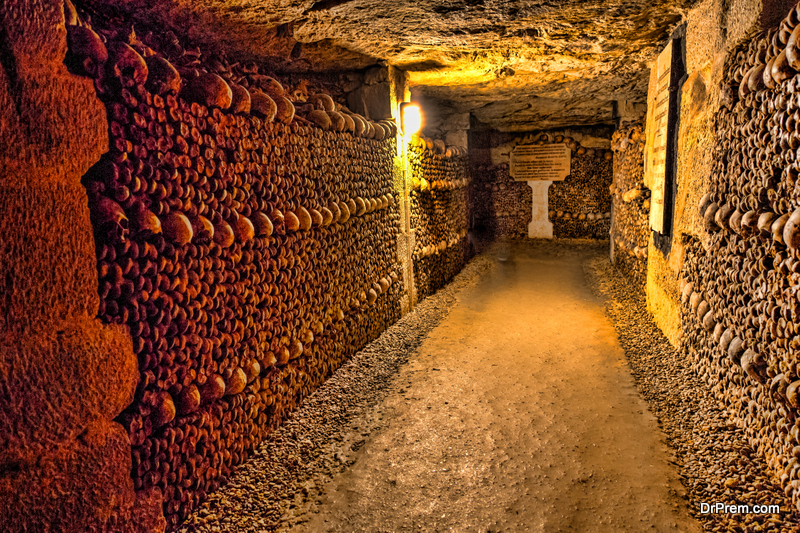 More than 6 million people have been buried here since the ossuary was established. Now, sections of the network serve as an off-beat venue for private parties and music concerts. Visitors can also buy tickets for a group tour. Nearly every Parisian restaurant tries to make the dishes as visually appealing as possible. Visuals, however, don’t matter at Dans le Noir. The restaurant serves dinner in complete darkness. To go a step further, diners can choose to have random dishes served from the special surprise menu. The restaurant is owned and operated by the Paul Guinot Foundation for Blind People, which employs only visually impaired waiters. It’s a unique experience that has made its way over to London and Moscow in recent years. When Gustave Eiffel completed the world’s most famous tower in 1889, he also built a secret apartment within it for himself. Unlike the rest of the tower, there’s no industrial metal in this cozy apartment, 1,000 feet above sea level. Eiffel wanted the apartment to serve as a meeting room for scientists, but today the room is part of the Eiffel Tower tour. Visiting the sewers of a megacity might not sound appealing, but the Sewers of Paris Museum promises a unique experience for adventurous travellers. The museum offers a glimpse at one of the city’s greatest engineering achievements. Built in the 13th century, the stone-walled sewer system of Paris was the first of its kind. Over the years, the sewer network has expanded alongside the road and boulevards above ground. Now, visitors say the 2,100-kilometer long network is like a city within a city. 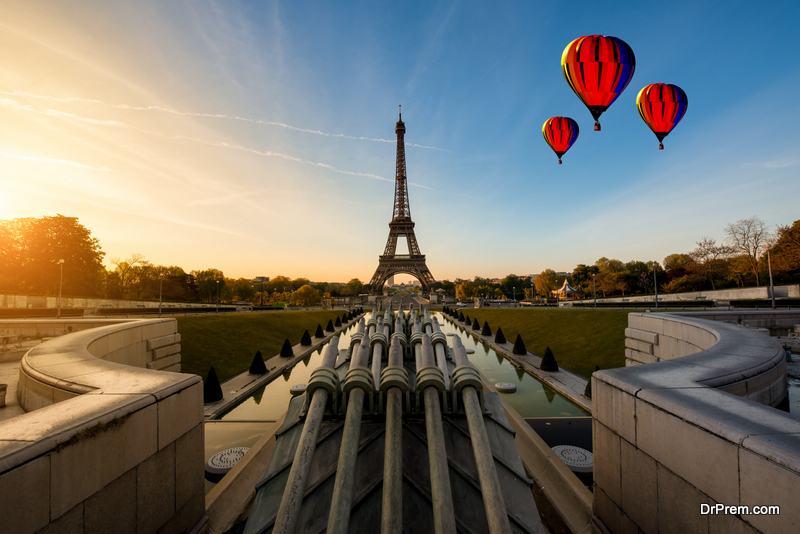 A view of Paris from a hot air balloon is arguably better than the one from atop the Eiffel Tower. For just €12 per adult, the team at André-Citroën Park offers a short ride 150m above the city. With all that Paris has to offer, it’s no wonder the city was the 3rd most visited city in the world in 2017.